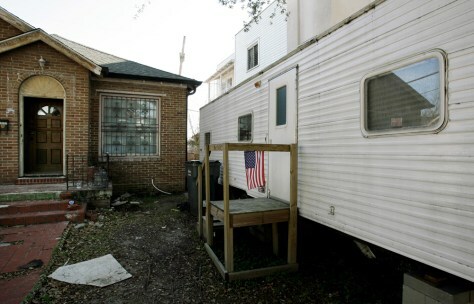 A FEMA trailer in the Broadmoor area of New Orleans on Feb. 14. U.S. health officials urged Gulf Coast hurricane victims out of their government-issued trailers after tests found toxic levels of formaldehyde fumes. FEMA wants immunity from a series of lawsuits filed on behalf of victims.